Rabbits find the Los Angeles suburbs as hospitable as nearby natural areas, but bobcats, their predators, are cautious about venturing into human-dominated landscapes to hunt, according to the results of a field study by CSUN biologists recently published in the Journal of Mammalogy. Carnivores, particularly medium and large-bodied carnivores, often require large contiguous patches of unaltered habitat. However, in the region of Thousand Oaks, Agoura Hills, Oak Park and Westlake Village, bobcats make a living in small patches of natural habitat surrounded by urban housing, commercial and industrial areas, and manicured landscapes like parks. Coyotes scavenge urban areas for garbage, fruit and pets, but bobcats do not consume foods provided by human activity. Working with collaborators in the National Parks Service, graduate student Sean Dunagan, who lead-authored the new paper, and Professor of Biology Tim Karels hypothesized that bobcats enter urbanized areas to hunt for rabbits, which benefit from human-tended greenery in parks and residential gardens. 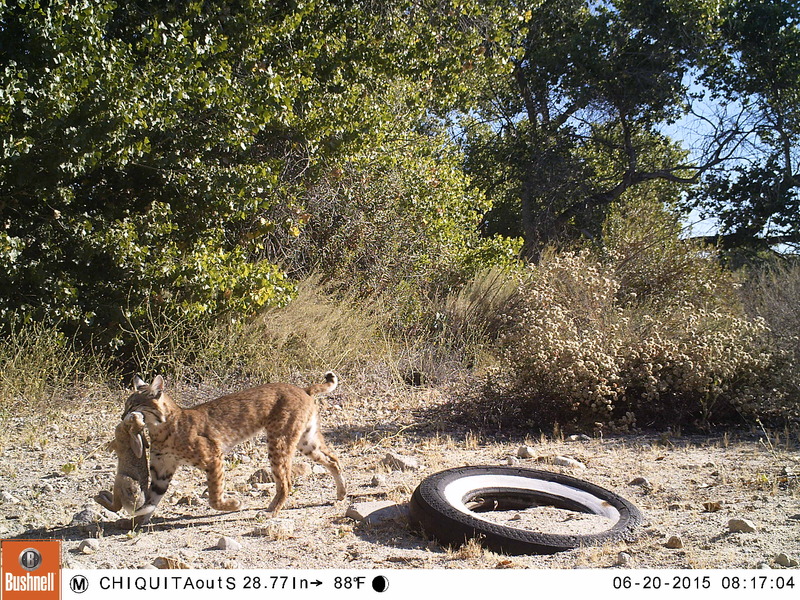 The team surveyed sites across the northwestern San Fernando Valley to estimate the density of rabbit populations in natural habitat patches, urban edge areas, and fully urbanized landscapes, and used radio collars to track the movements of seven female bobcats across the same area. They found that rabbit density was about the same in natural habitats and human-altered landscapes, in spite of the “resource subsidy” provided by parks and gardens. However, the tracked bobcats did not use these different habitats in the same manner — they avoided urban and urban edge areas during daylight hours, only entering them at night, when the odds of encountering humans were lowest. This suggests bobcats primarily using natural habitats can benefit from the “secondary urban resource subsidy” of prey living in nearby human-altered landscapes by selectively entering urban areas at low-risk times. However, it also makes clear that unlike more human-acclimated carnivores such as coyotes or foxes, bobcats need natural habitat patches as refuges within a region patchworked by human construction and habitat modification.